Possibly the most appealing feature of the project is the amount of outdoor space. 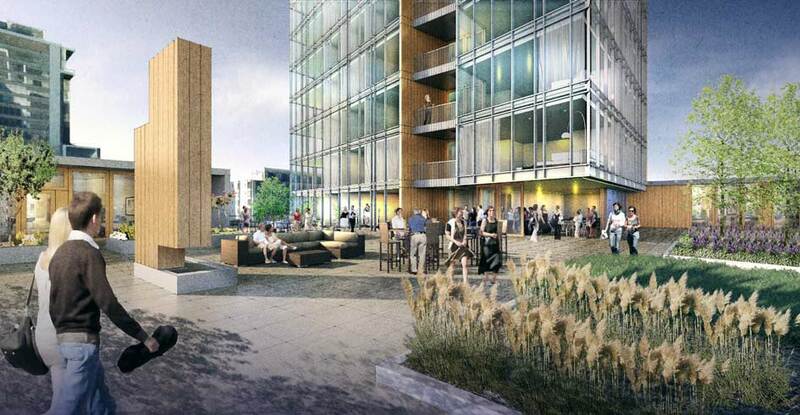 Judging from the renderings, just about each apartment has a balcony. The balconies would have warm IPE wood cladding that backdrop to the glass main facade. 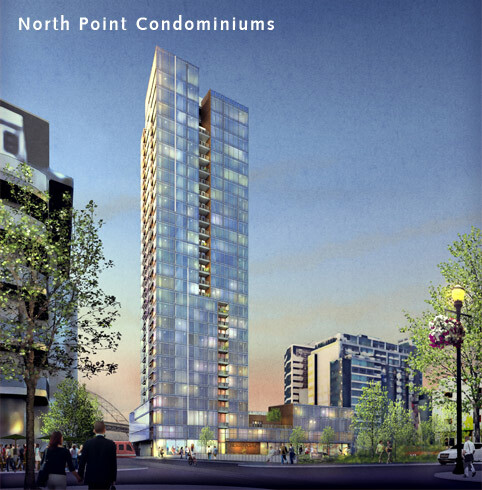 The biggest question yet is, “Will it be a condo tower?” Said one local resident. At this point everything is very preliminary, so it is unclear. Given the demand of rental units in Portland, we believe this will be rentals. The building appears to be much more high-end than a traditional mid-rise. Concerns were voiced online via a forums website, one user said, “My only concern is that it’ll be a building for millionaires rather a building for Portlanders.” He went on to explain that Portland has millionaires, but that sector is currently not in demand for housing needs. The project is part of a design competition and could actually change. We’ll post updates as needed. The following architectural firms are submitting designs: Ankrom Moisan, Boora, andLRS.